University of South Africa (Unisa) is the largest open distance learning institution in Africa and the longest standing dedicated distance education university in the world. Unisa nearly enrolls one-third of all South African students. Unisa offers an unparalleled range of study choices, ranging from short courses and certificate programmes to three-and four-year degrees and diplomas. As one of the leading research institutions on the continent, our research efforts have won us numerous awards, recognitions and honours. Unisa's vision, mission and values unite their diverse culture that also guides Unisa's decision making and strategic planning. Unisa's vision defines everything that they do. It describes their wish to serve every country on the African continent while transcending language and cultural barriers. Unisa is 100% committed to the communities and individuals that they serve. 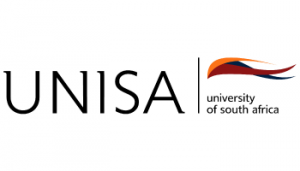 Unisa is a comprehensive, open distance learning institution that produces excellent scholarship and research, provides quality tuition and fosters active community engagement. Unisa is guided by the principles of lifelong learning, student centredness, innovation and creativity. Efforts contribute to the knowledge and information society, advance development, nurture a critical citizenry and ensure global sustainability. Unisa offers study opportunities to more than 400 000 students from across South Africa, Africa and other parts of the world, Unisa offers a diverse choice of study fields at levels from certificate to degree. The university is considered South Africa’s most productive accounting for 12.8% of all degrees conferred by the country’s 23 public universities and universities of technology. Courtesy of its comprehensive nature Unisa offers an unparalleled range of study choices, ranging from short courses and certificate programmes to three-and four-year degrees and diplomas, and doctorates. Unisa has six academic faculties, of whom each offer a variety of high quality academic and vocational programmes and over 1400 academics. In addition, Unisa has a College of Graduate Studies and a Graduate School of Business Leadership (SBL).